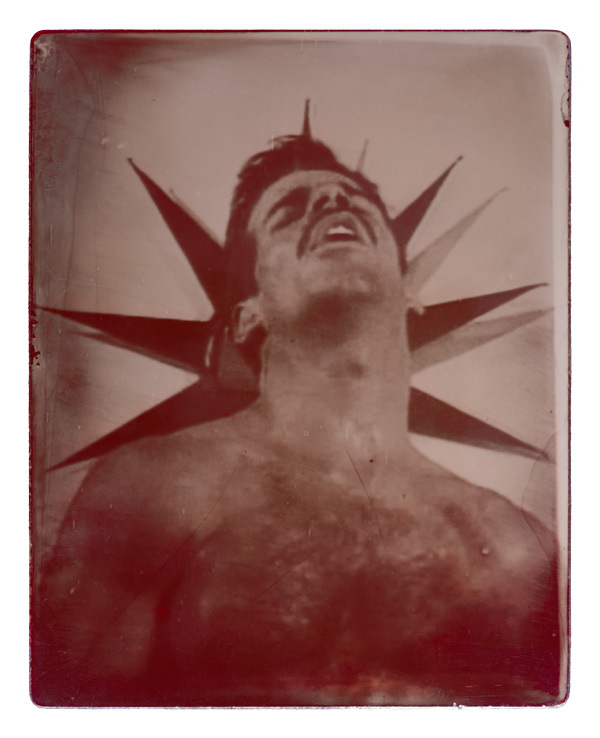 Glass plates: ambrotype, acrylic polymer, thermochromic pigment; print rails, warming shelf. Printed 2016. I know you’ve done everything you could for me, and I love you for it. Thom Katt. Died 1992. Age 28. Film still from Cult of Manhood (1988). 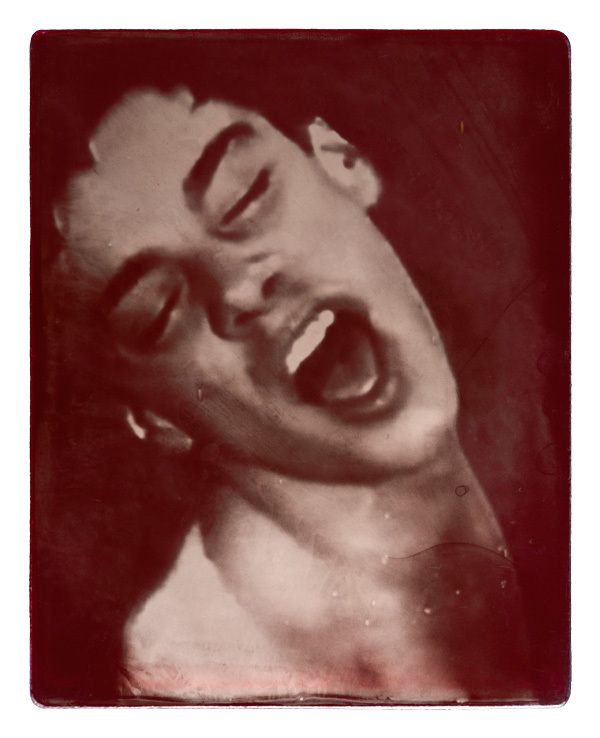 Ambrotype, acrylic, and thermochromic pigment. 7 1/2 x 6 in. Printed 2016. Front with time-lapse sequence, reverse. Karen Dior. Died August 25, 2004. Age 37. Film still from She Mail (1995). 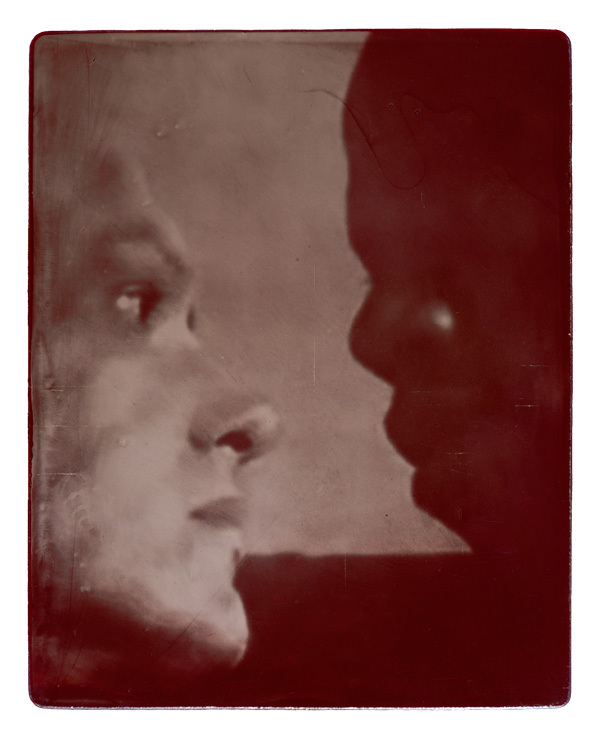 Ambrotype, acrylic, and thermochromic pigment. 7 1/2 x 6 in. Printed 2016. Front with time-lapse sequence, reverse. Rocky Castro. Died December 7, 2006. Age 26. Film still from Angel Blue (2001). 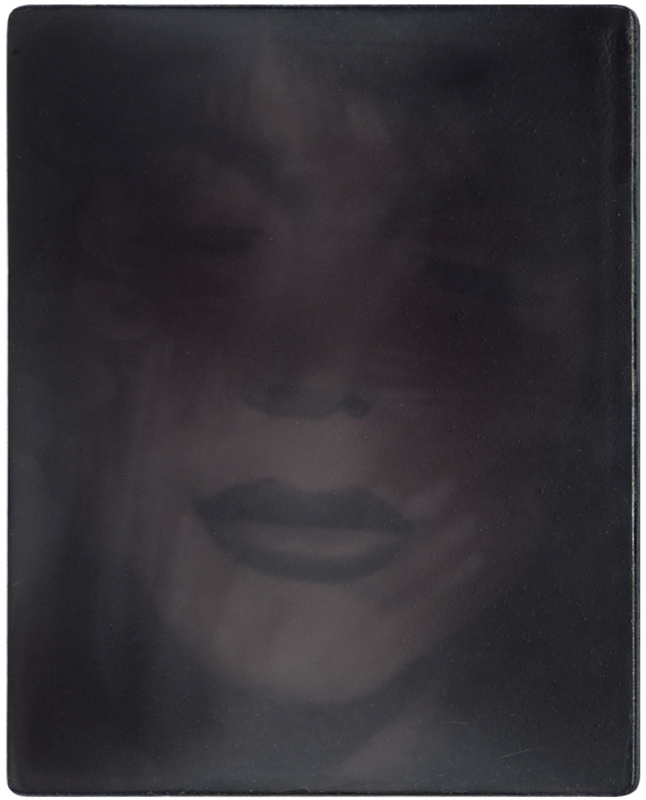 Ambrotype, acrylic polymer, and thermochromic pigment. 7.5 x 6 in. Printed 2016.